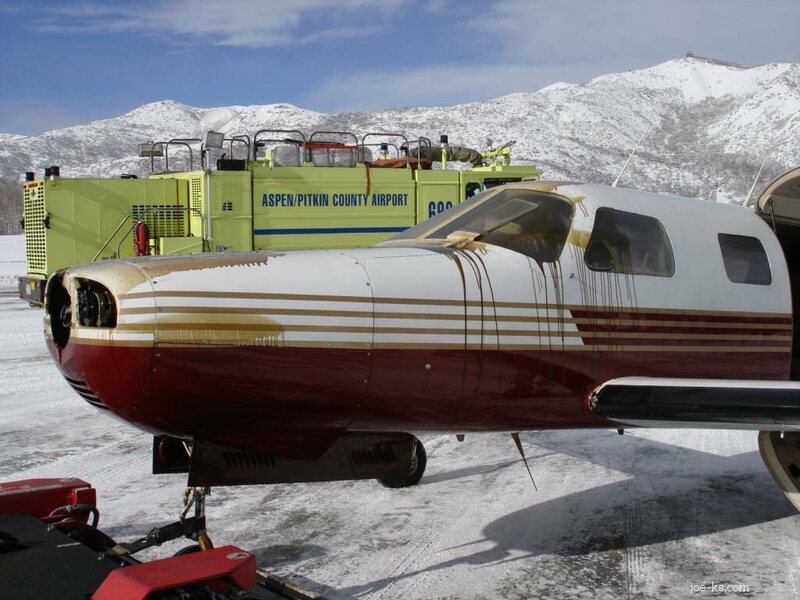 [ASPEN - JP Press, 30-Jan-2008] - Four people emerged unscathed from an aircraft Wednesday after a pilot glided it 8 miles, without its propeller, to a safe landing at the Aspen-Pitkin County Airport. 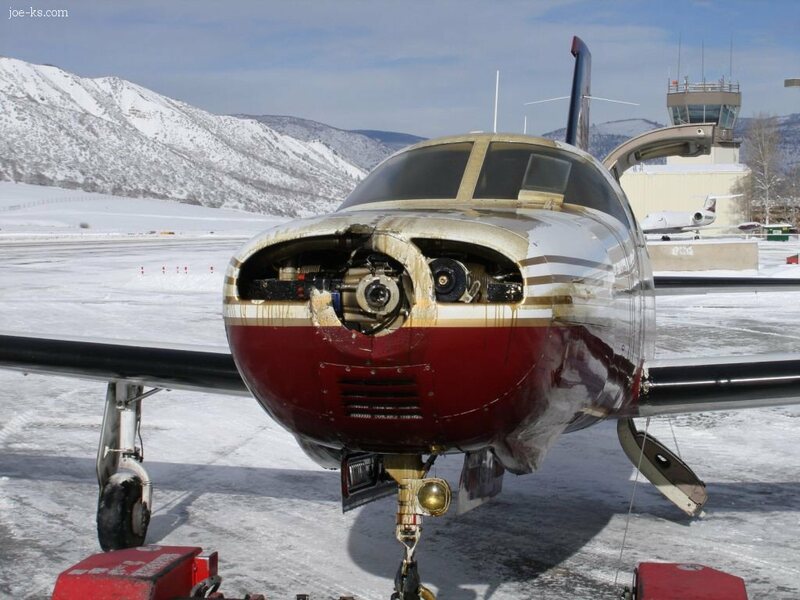 Some 10 minutes after taking off from the Aspen airport, Cox’s single-engine Piper Malibu lost its propeller, and thick oil covered the windshield. Cox remained calm, however, and turned the aircraft around to make a glide landing by navigating through the side windows, he said. Cox and his three passengers were uninjured, and the runway was closed only momentarily while crews towed the plane off the tarmac, according to airport officials. Cox, whose plane left Aspen shortly before 10 a.m., was taking his daughter and her friend to the Denver International Airport. Another friend, Stan Cheo of Woody Creek, was hitching a ride to a doctor’s appointment in Denver. While climbing at about 16,000 feet, some 8 miles north of the airport, engine oil spattered the windshield and Cox radioed the Aspen tower about the problem, he said. Moments later Cox heard a loud boom. “I didn’t know it at the time but that’s when the propeller fell off,” Cox said. 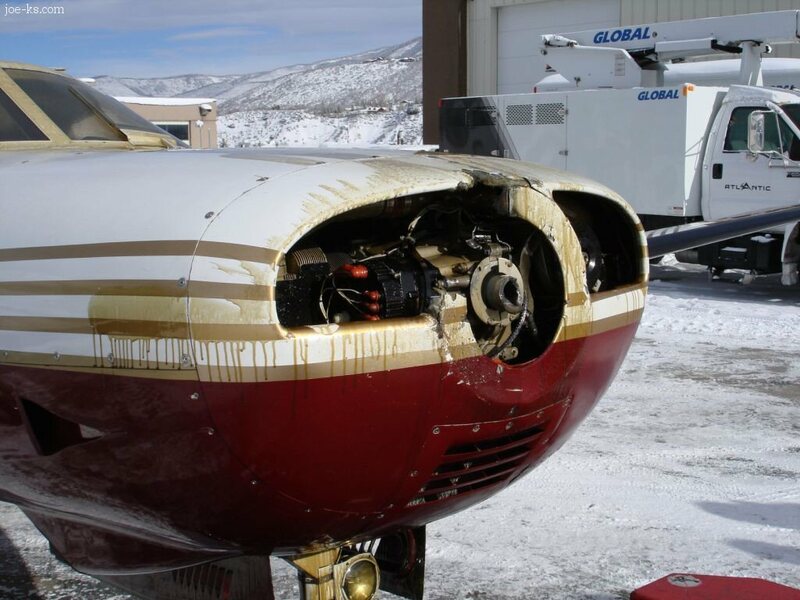 “I just started gliding, and I couldn’t see out the front.” The engine was still running, but Cox had no power. Cox said he simply followed procedures he had studied and practiced for more than 30 years of flying experience. Cox once landed a plane without a windshield, he said, but said Wednesday’s incident was his closest call. “Barry was so calm about it,” said Cheo, who flew in the co-pilot seat. When he smelled burning oil, Cheo feared the plane would burst into flames, he said. “It’s the only time I’ve lost an engine,” Cox said. When he landed, he was greeted with handshakes from nearby mechanics. 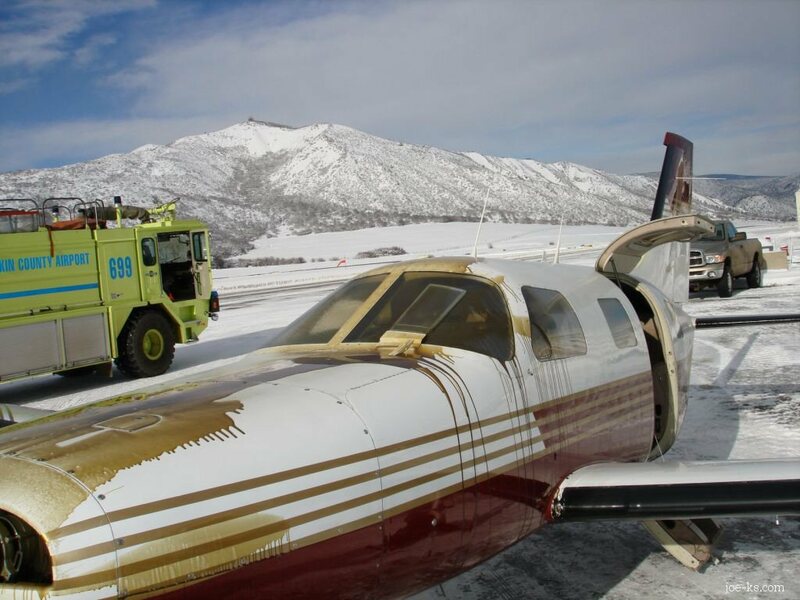 Both the Aspen fire department and the Pitkin County Sheriff’s Office were called to respond, but the aircraft landed without incident before local officials arrived. A businessman originally from the Missouri, Cox began flying planes out of college and commuted between subsidiaries of his distributing business on his own set of wings, logging some 7,400 hours in the air, as much as many commercial aviation pilots. It was those years of training and experience taking off and landing in Aspen that kept him calm under pressure, Cox said. “At the time I was totally cool because that’s what you’ve got to do,” Cox said. When Cox got on the ground, however, he said he started thinking about what could have happened if the plane was farther from the airport or in thick clouds. “I’ve never actually heard of a propeller fall off,” Cox said. Cox’s Piper Malibu dates back to 1988, but the Continental engine was a recently re-manufactured model with just 147 hours in the air. 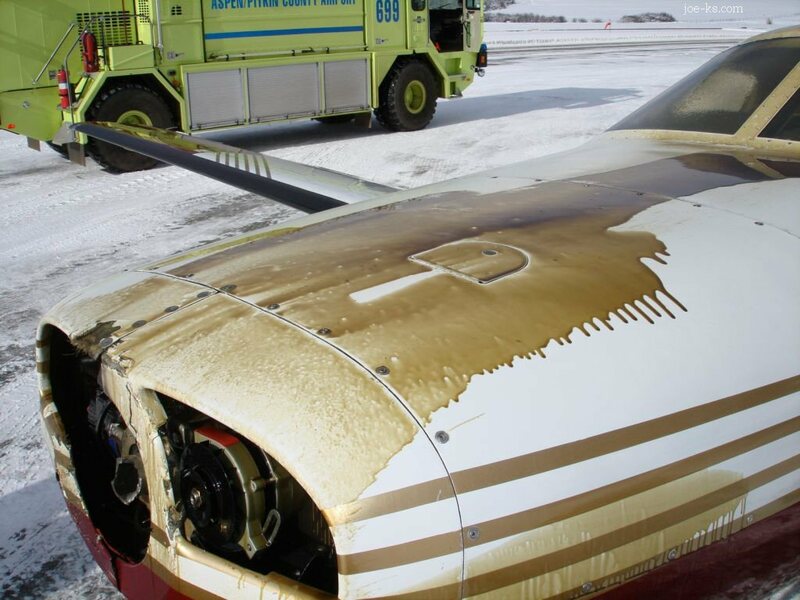 Cox believes it was a metallurgical defect where the propeller meets the crank shaft in the nose of the plane that caused the problem, and said he hopes the repair will be covered in a warranty.